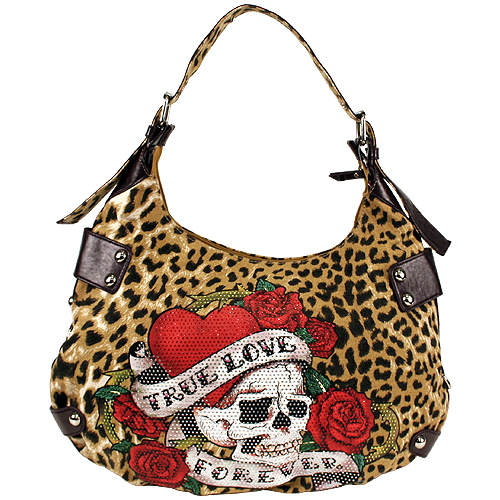 Let your inner rocker chick stand out with this "true love freedom" tattoo inspired, zebra print canvas and crocodile pattern, leather bowling bag. 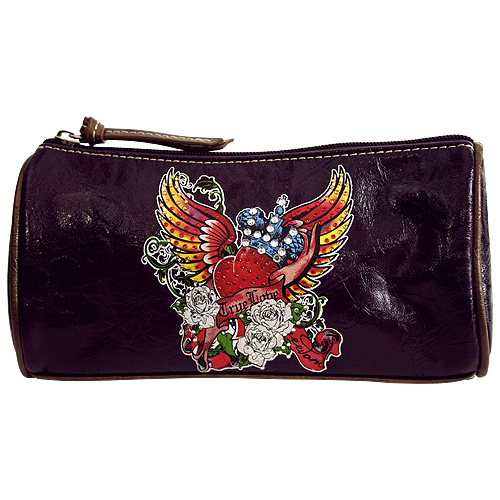 Embellished with tiny colored rhinestones strategically placed over the entire "tattoo" area of the bag. The double handles are made of pretty pink faux leather in a crocodile pattern, also comes with a single button detachable shoulder strap. Trimmed in small and large round studs and silver hardware. 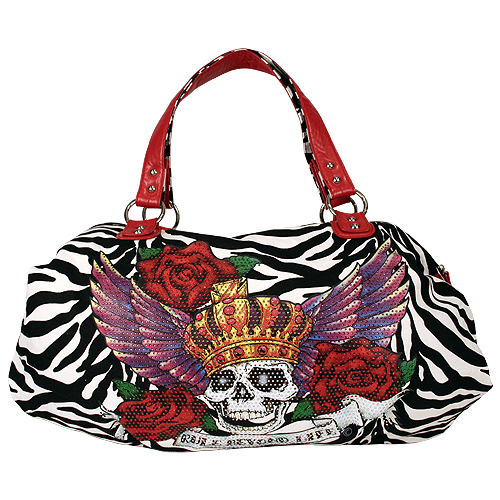 It has a complete zippered top to keep all your valuables safe and the same pink color lining inside with a single zippered pocket as well as two small open pockets.